Home Coffee Production & Farming What Are The Main Challenges Faced by Coffee Producers? Being a coffee producer means living a life of uncertainty. While measures can be taken to improve quality and therefore prices, the truth is that market trends and harvest yield/quality are unpredictable. Nothing is certain until the coffee is bagged and cupped, and the price has been paid. And coffee producers are notoriously poorly paid in a relatively rich industry. Part of this is due to the structure of the supply chain. Another part of it is due to the risks inherent in coffee farming, from unpredictable weather to pests and labour shortages. 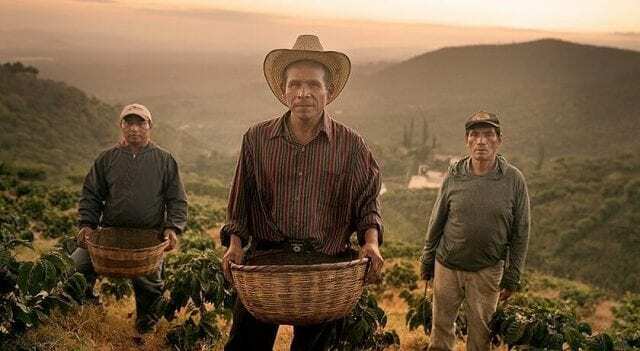 We couldn’t hope to comprehensively cover all of these issues in just one article, but here are some of the biggest, most pressing challenges facing coffee producers around the world. Spanish Version: ¿Cuáles son los Principales Retos que Enfrentan los Productores? Pests, diseases, and fungi have become a real threat for many producers. 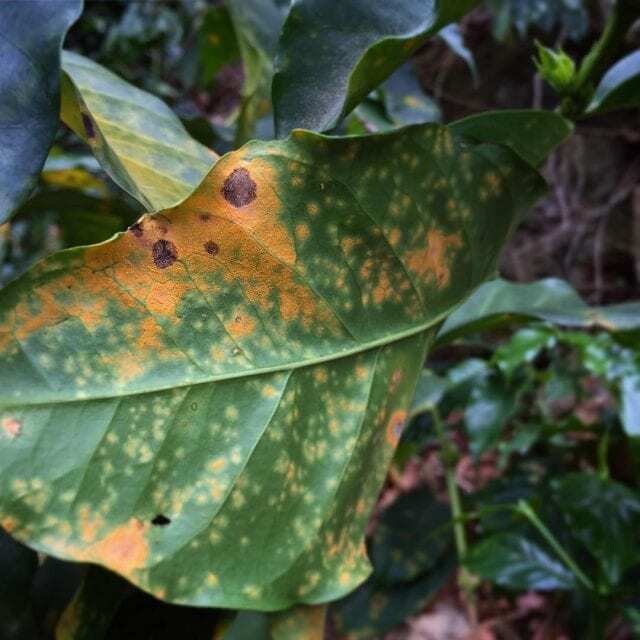 Coffee leaf rust (la roya) is one of the most famous diseases, and has been affecting coffee crops for over a century. In 2012, it hit Central America hard. And over the next two years, it caused over $1 billion in damage (USAID). Maria Pacas, a fifth-generation coffee producer with Café Pacas, El Salvador, tells me that she has noticed crop levels decline over the last few years due to the 2012 epidemic. In the Ixil region of Guatemala, it destroyed 75% of the coffee crop. 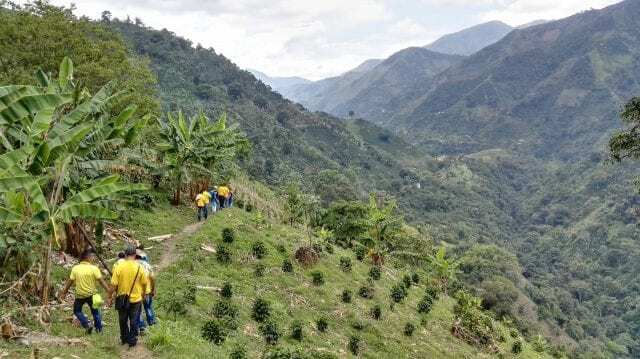 While la roya doesn’t affect all varieties and species of coffee, it’s normally the ones that produce higher-quality coffee – and sell for higher prices – that are most susceptible. And even farmers who opt to plant rust-resistant coffee species and varieties, accepting decreased incomes in exchange for decreased risk, are still vulnerable. As a living organism, la roya is constantly involving. After 2012, many farmers in Honduras planted Lempira as a rust-resistant replacement crop. But earlier this month, news broke that the WCR have recategorised Lempira as susceptible to rust – and warned producers in Honduras of “the possible development of a severe attack once the rains are established”. On Facebook, WCR responded to the situation by stating that “an underlying problem is that we have been relying on the same varieties for rust resistance for too many years”. Yet changing crops is costly, especially when it will take five years for the trees to produce the same amounts of coffee. And research takes time. Another big issue is the coffee berry borer beetle (la broca), which bores into the coffee cherry and lays eggs in the seed endosperm. But farmers have to watch out for far more than just la broca: other common pests include green coffee scale, mealybugs, termites, leaf miner, and many more. These all affect both the quality and yield of coffee crops. Producers have no power over changes in the environment, but when their harvest suffers as a result, they do too. They need their harvest season to cover the fixed costs they’ve incurred throughout the year. Currently, climate change is leading to rising temperatures and new rainfall patterns – something that’s placing the Arabica coffee species under threat. 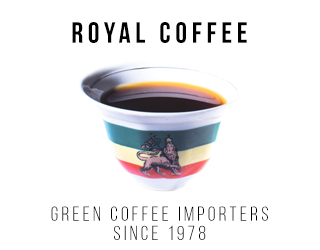 There are four main species: Arabica, Robusta, Excelsa, and Liberica. 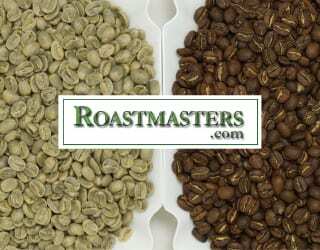 Arabica is widely considered to be the best quality, thanks to its aromatic flavours, and so it attracts higher prices. It also accounts for roughly twice as much of the international coffee market (ICO). However, Arabica is more sensitive to temperature increases, which reduce its growth, ability to flower, and consequent ability to produce fruit. It needs to grow at cooler temperatures than the other species. This means it’s usually cultivated at higher altitudes. As climates change, the available fertile land for Arabica decreases. In fact, the Intergovernmental Panel on Climate Change (IPCC) has predicted a 10-20% decrease in overall crop yields by 2050. What’s more, pests that once found the high altitudes of Arabica farms too cold to survive are now able to thrive up there. And Arabica is more sensitive to these than Robusta is. It’s easy to hear data like this and not be able to picture the real impact on the farm. But while this change takes place slowly, over years, it’s still visible in weaker trees and greater numbers of pests. What’s more, those sudden heavy rains do have a strong and immediate impact. Producers rely on a dry harvest season – something that, at one point in time, in most countries they could take nearly for granted. Now, however, it is a different story. 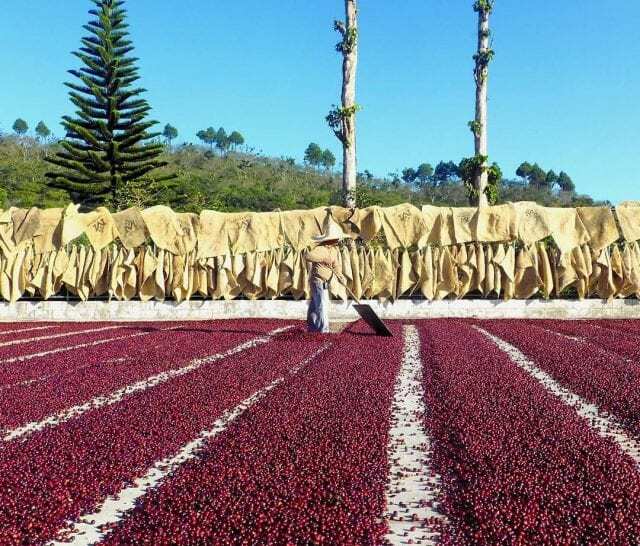 Heavy rain can cause issues during harvesting and processing: cherries splitting on the tree and losing their mucilage, fermentation during processing, and more. This is a particular concern when producers are honey or natural/dry processing coffee, since these need lots of time under direct sunlight to thoroughly dry. They can also lead to unpredictable harvests. Coffee cherries ripen nine months after the coffee flowers blossom (with Arabica – it varies from species to species). Yet Eko Purnomowidi, a coffee producer in Java, Indonesia and partner of Olam Specialty Coffee, tells me that changing patterns of seasonal rainfall has caused erratic flowering over the past few years. This means that the coffee cherries ripen at different times. The result? Pickers also need to collect the coffee cherries at different times. 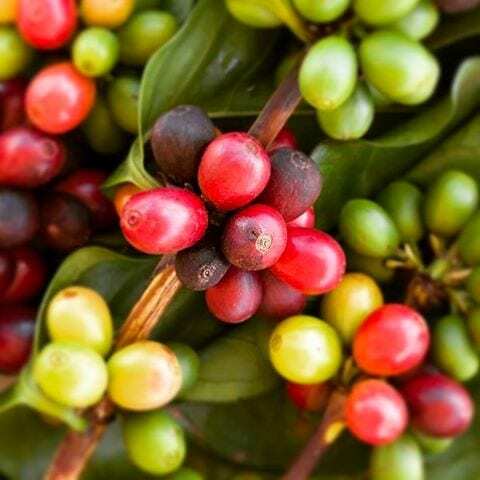 If they mismanage it, they might end up picking unripe coffee cherries – which will have a negative impact on the coffee flavour and mean specialty buyers will be less interested. Alternatively, overripe fruit starts to develop less appealing herbal notes. And if cherries drop from the tree, because they have been left too long before picking, they may ferment on the ground and cause unpleasant flavours in the cup. In the worst of cases, it might result in full black or partial black green bean defects – and even just one full black bean in a 300g sample will rule out specialty coffee status. We’ve looked at issues relating to the coffee crop itself. Now let’s look at the coffee producers and farm workers. Heleanna Georgalis, Managing Director of Moplaco, Ethiopia tells me that one of the biggest risks she sees is the lack of labour. Coffee processing requires workers at every stage of the process. However, the average age of a coffee producer is growing, and the numbers of them decreasing. 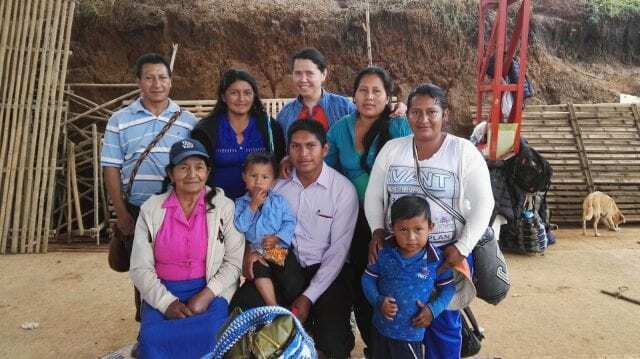 Children from coffee-producing families, seeing the struggles their families face, often choose to migrate to the city to find better opportunities. What’s more, farmers often talk about the difficulty of finding coffee pickers to harvest the coffee cherries off the tree. We’ve already discussed how important picking coffees when ripe is – but it’s only possible to do it when there are enough staff. 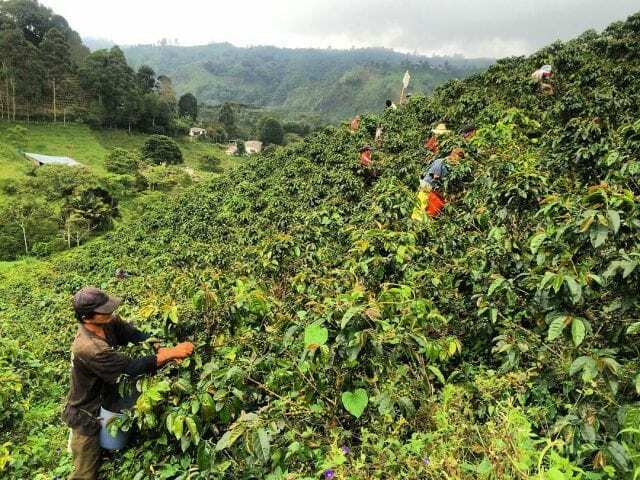 In most places, coffee picking is seasonal and sometimes even nomadic work. The pickers are paid based on the weight of the cherries they collect, and they need to work 8 hours a day on steep hillsides for their pay. Then, at the end of the harvest, they have to find other jobs or move to other regions. It’s easy to see why people might choose other forms of work. Evelio Francisco Alvarado, General Manager of Anacafé, tells me that labour makes up 50–65% of the cost of coffee production in Latin America. But when there are few workers available, the price increases. Maria Pacas also tells me that this increase in costs has forced her to automate some of Café Pacas’ processes. Both commodity-grade and specialty-grade coffee producers are affected by price fluctuations, although there are differences in how. Let’s begin by looking at commodity coffee. The commodity-grade price (C price) is based primarily on the NY Commodity Exchange. But Evelio Francisco Alvarado explains that this price fluctuates regularly. Take Brazil: from 2010/11 to 2013, coffee prices dropped to less than half while costs continued to rise. Unfortunately, the C price is based on supply and demand – not the cost of farming. What’s more, due to these fluctuations, producers are unable to predict pricing trends and plan ahead. Evelio tells me that Anacafé considers this crucial, as producers need to know their production costs and see their farms as a real and profitable organisation. SEE ALSO: What Effect Does The C Market Have on Small Coffee Farmers? Jhon Espitia, an agronomist and coffee grower in Colombia, tells me that this becomes more complex when we look at the impact of climate change. 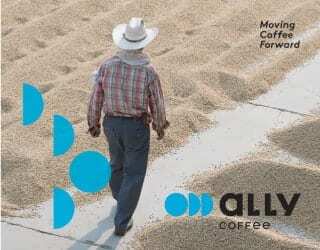 Producers know that, if they focus on high-quality coffee, they can try to enter the specialty market. This is normally linked to increased incomes – but it also requires greater investments in terms of resources and effort. Producers are trading one risk for another. The biggest fear of a producer that’s considering working on specialty coffee is that they will not get enough in return for their efforts. Or that, perhaps they will one year, but the next, the weather will prevent them from producing quality coffee and they will lose the price premium. 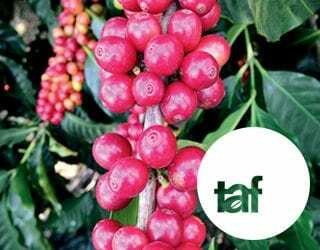 Linked to concerns over price and quality is the fact that many producers are unable to value their own coffee in the same way that buyers and consumers do. This can make it difficult to both improve farming methods and negotiate with buyers. Heleanna explains that this is especially difficult for smallholder farmers, who are primarily focused on their basic needs so that they can survive from day to day. For them, what a consumer wants is of little relevance to their life. And for those able to focus on coffee quality, they still need to acquire new skills: cupping and sensory knowledge, market understanding, and often marketing – or at least a way to become visible to specialty coffee buyers. This is another reason why specialty coffee can be a risk. 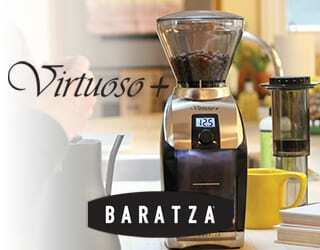 Coffee farming provides a livelihood for millions of people around the world. These challenges have a real impact on their lives, whether they are large farm owners or smallholders producing just 30 60-kilo bags a year. There is no easy solution to these challenges. But as consumers, buyers, roasters, and baristas, we need to ask for more than a cup of coffee. We have the ability to choose where we spend our money – and to ask how much producers are paid.